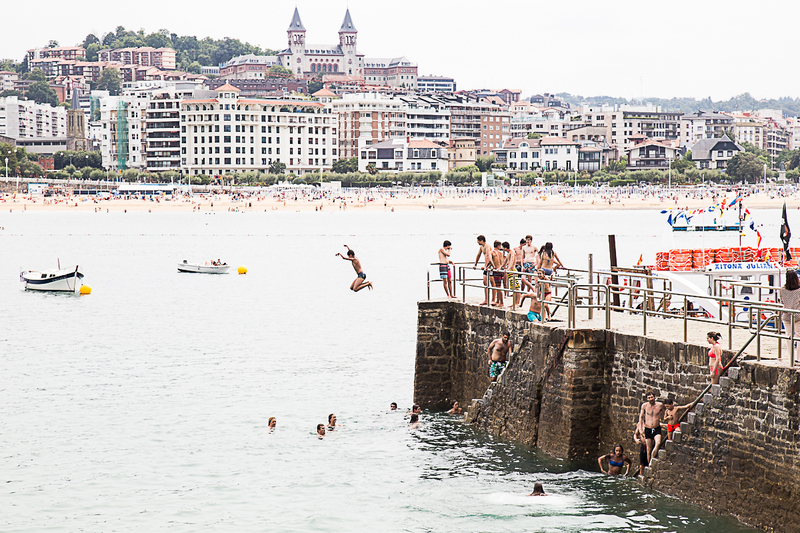 San Sebastian is (deservedly) known as one of the top foodie destinations in Europe. There are more Michelin-stars here per inhabitant than anywhere else in the world. But it’s also a wonderful place for a holiday with kids, with gorgeous beaches, lots of family-friendly attractions and of course, when it’s time to eat, you’ll never struggle for inspiration! We spent an incredible week in San Sebastian last summer and I’ve not stopped thinking about it ever since – I cannot wait to go again and nor can my tummy. The reason why is very simple – pinxtos. Pinxtos are a light snack traditional in northern Spain – they’re like a Basque version of tapas but usually held together with a cocktail stick – pincho is Spanish for spike. 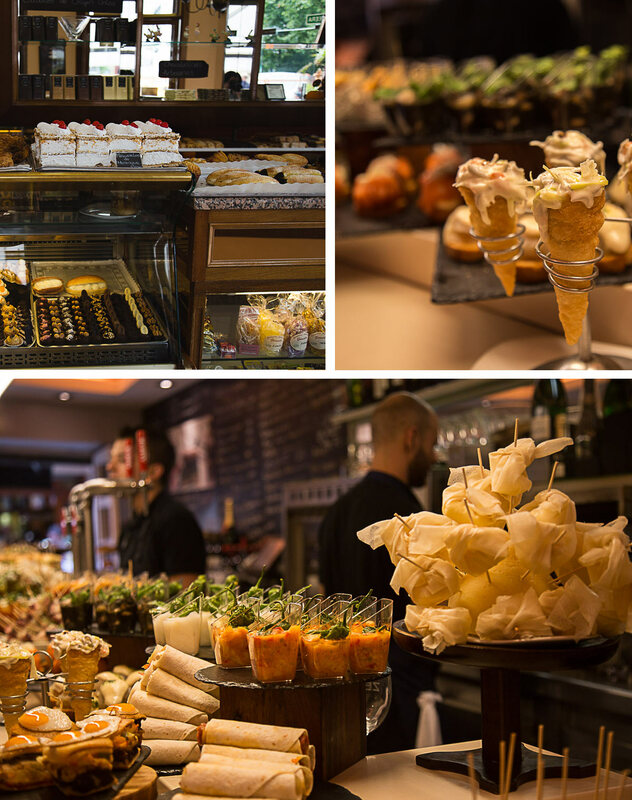 In San Sebastian they’re famous – almost every bar you enter, day or night, will have an immense selection laid out for you to fill a plate and I am not joking, if you’re a foodie, this will be paradise for you. 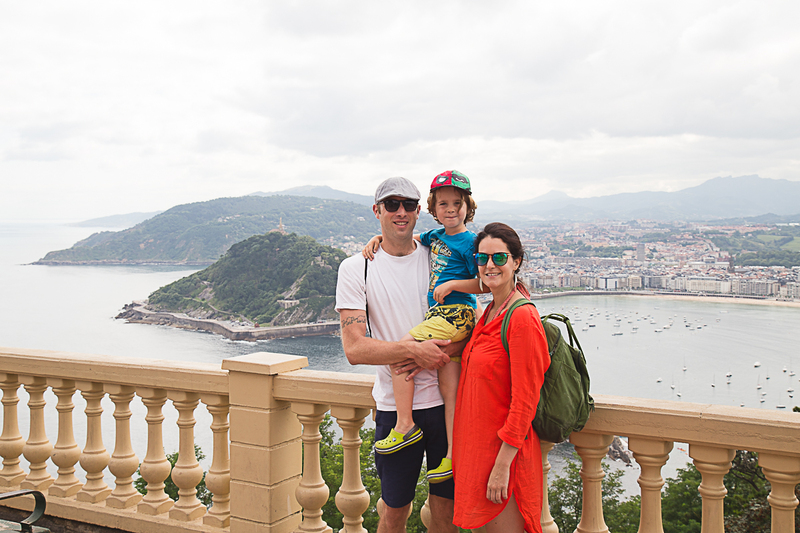 I’m not going to talk too much about the pinxtos here, I’ll save that for another post, but I will include a few drool-worthy photos that will ensure San Sebastian goes right to the top of your holiday bucket list. 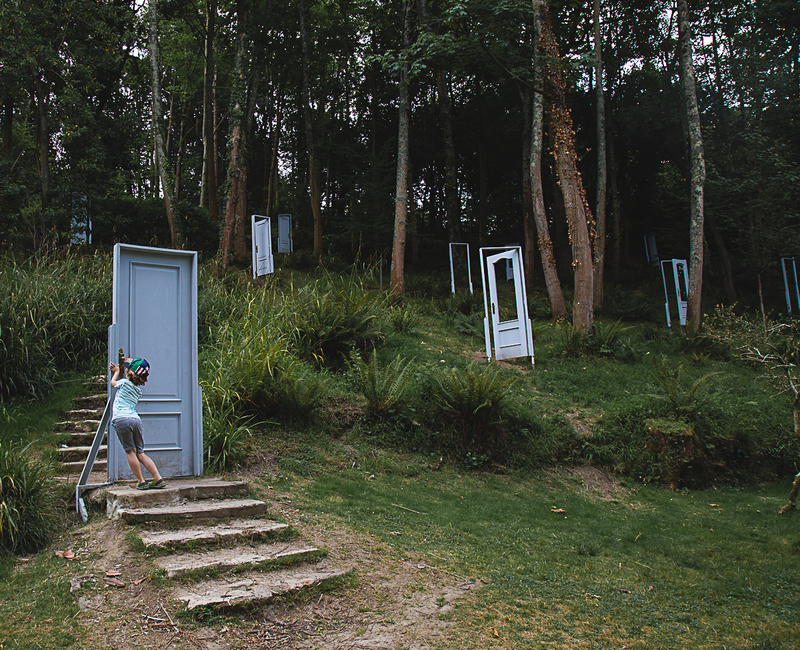 Monte Igueldo, a mountaintop vintage theme park was one of the absolute highlights of our San Sebastian holiday, and I’m so glad we went here. You take the funicular railway to the top which takes just 10 minutes – you can find timetables and prices for the Monte Igueldo funicular here. At the top there is a range of classic fairground attractions including a big toboggan slide, a beautiful carousel, trampolines, dodgems and a haunted house. Our favourites were the Mysterious River, which takes you on a gentle boat ride around the edge of the mountain offering stunning views across the Santa Clara Bay, and the Swiss Mountain rollercoaster which is so old-fashioned it has a driver at the front! The park is over 100 years old, and one of the best family activities in San Sebastian for sure. 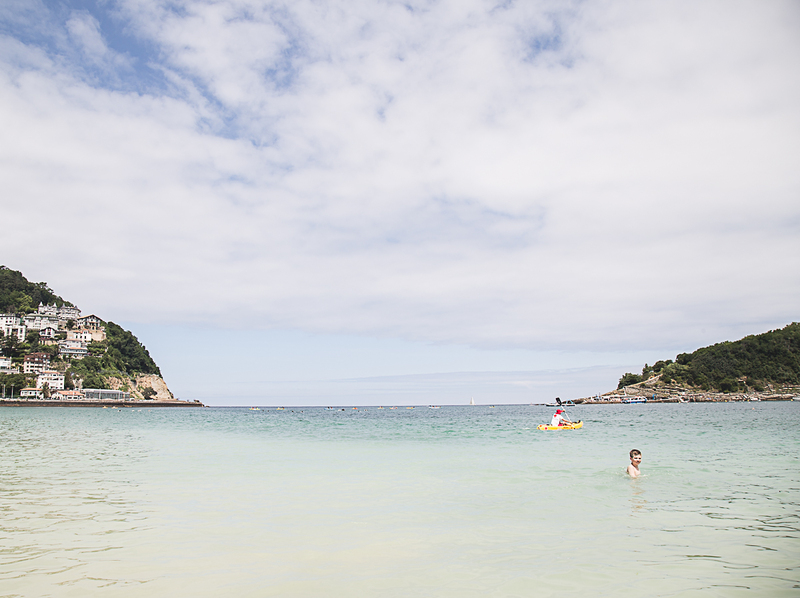 There are three pretty sand beaches in San Sebastian – La Concha, shaped like a conch shell, hence the name, is the busiest, with lovely views across the bay. We found it a great place to relax in the afternoon, with great, safe swimming. Ondarreta, which is between Monte Igueldo and the Palacio Miramar gardens, is a lot smaller and the most popular with families because of its calm waters, playground and beach bar. Zurriola is great for surfing and bodyboarding, so probably one to miss if you’ve got young children or toddlers. San Sebastián has really thought of it all, and all of the beaches have really facilities with restaurants and bars nearby – just be prepared for all the ice-cream requests! I had been worried about taking my five-year-old to Pintxos bars, but as it turns out San Sebastian is a very family-oriented city, and even though we didn’t see that many other children when roaming the bars at night in search of pintxos, we never had a sense at any point that children aren’t welcome. The foodie culture is huge here, and pintxos are a fantastic way to get your children to try new flavours in small bites. They’ll love the experience of going up to the bar and filling up a plate with whatever takes their fancy, plus the drool-worthy ice-cream chain Boulevard (which you’ll find dotted all around the city) is a great incentive for finishing your dinner! A great half-day activity is to take the short boat trip out to this small island in the Santa Clara Bay, where there’s a little beach and a jetty that’s very popular with swimmers who can jump off all the way along – even our five year old braved it (holding dad’s hand, of course!!). There are lifeguards on the island, and a small cafe as well as picnic areas, so you can easily spend a whole day here if you want. Keep in mind though that it does get very crowded – when we were there during the summer you could barely move for sunbathing families, so it’s maybe just something to do on a free morning or afternoon for a few hours. The boats to Santa Clara Island go around every 30 minutes during summer from the fishing port. San Sebastian has a lot of gorgeous city parks and easygoing hiking. We had a great time exploring the Parque Cristina Enea, with its surreal statues, beautiful trails and lots of local kids dressed up, which added to the fun. A 20 minute walk from Parque Cristina Enea is Plaza Gipuzkoa Park, which has a pond, with ducks and geese wandering around, that’s great for cooling down at midday and get little ones to nap in their buggies. There are also several good trails on Monte Ulia, a Natural Park right in the middle of the city, from where you can (occasionally) spot whales off in the distant ocean – we weren’t so lucky! Just 20 minutes out of town, the Albaola Sea Factory is a fascinating museum tracing Basque marine heritage. You can see a ship modelling workshop here, a 16th-century whaling ship that was restored from a wreck, and a number of other interactive exhibits and cultural attractions aimed at children. We didn’t go here, but I think it would make a good rainy day activity for families with older kids. Bilbao is only an hour away from San Sebastian by car, so if you are driving or can rent a hire car, then it opens up a wealth of other attractions, a really great day-trip idea. 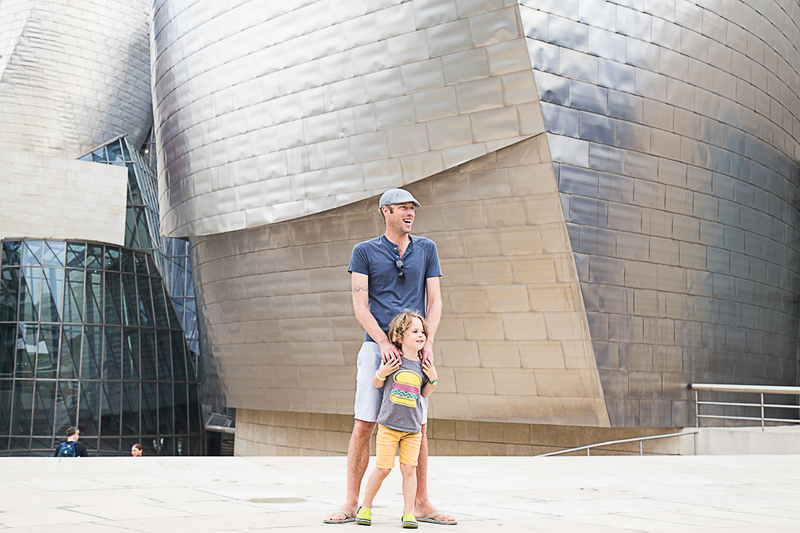 We passed through Bilbao on our way to Vigo and spent a morning at the Guggenheim Museum which was a nice splash of culture. Even better the promise of ice cream kept our son on his best behaviour for a couple of hours! The San Sebastian science museum is another fantastic rainy day idea. It’s open every day of the week and has a planetarium which operates a range of astronomical events and learning sessions. We visited a lot of Children’s Museums when we were in the USA and Eureka! is very similar, with hands-on interactive exhibits that bring science to life. 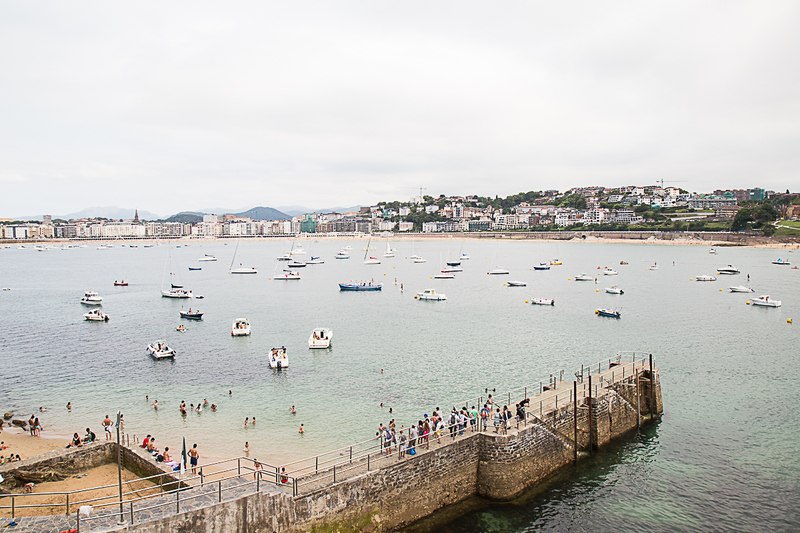 If you have younger children and need a time-out, then you’re never far from a kids’ playground in San Sebastian. 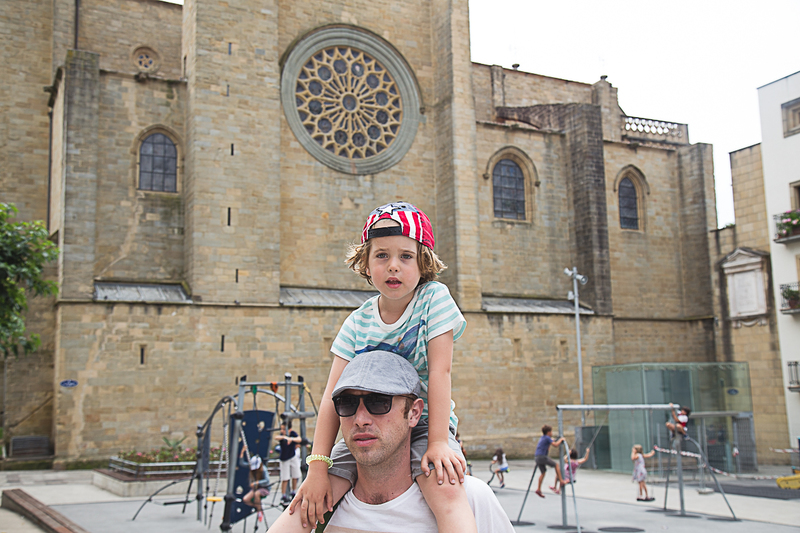 Some of the best are found in Plaza Gipuzkoa Park, and the play area beside the Ondarreta beach. There’s another nice one near La Concha beach which also has a gorgeous traditional carousel. Virtually every park in San Sebastian has some form of play area, even if it’s just a couple of swings or a slide. 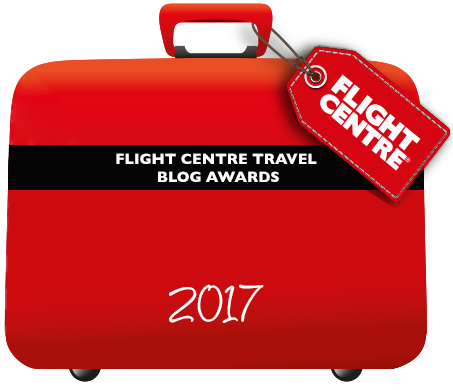 This hotel is the best hotel in San Sebastián, and it’s easy to see why. Stunning architecture, luxurious rooms and beautiful views 0ver the river, this hotel has it all. It’s not especially family-friendly, but rooms can sleep up to 2 children with parents, which make it a fantastic luxury family hotel. These four star apartments are located near Concha beach, and feature a wonderfully modern design – perfect for kicking back after a long day at the beach. I’m a big fan of staying in apartments as you can be more flexible with meals, but to be honest, in San Sebastián you’ll want to make the most of your meal-time so the kitchen will probably not see much use! There are no direct flights from the UK to San Sebastián, however you can fly direct to Biarritz from Stansted with Ryanair, and catch the bus from Biarritz airport to San Sebastián. If you’d like to drive from the UK to San Sebastián, the journey takes approximately 12 hours from London, or if like us, you’d like to take the train, you can catch a Eurotar from London to Paris, connect with the TGV towards Biarritz and take the bus to San Sebastián. 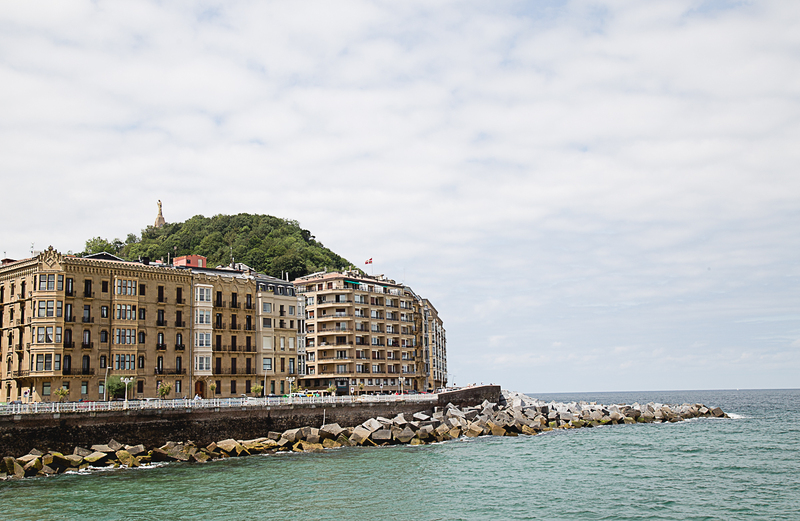 Have you ever been to San Sebastián? I’d love to hear about your experience! If you’d like to keep these tips for later make sure to pin it!